The Atlantic coast is a paradise for cyclists. 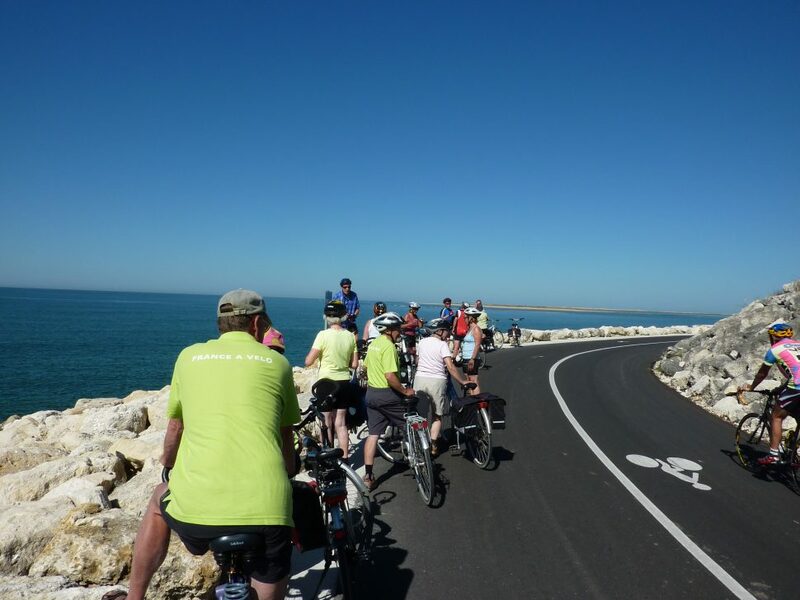 You will discover the fantastic coast and it's marvelous sandy beaches, and ride along cycle paths through quiet pine forests. This is a charming region full of history and wonderful landmarks along the Atlantic Ocean. 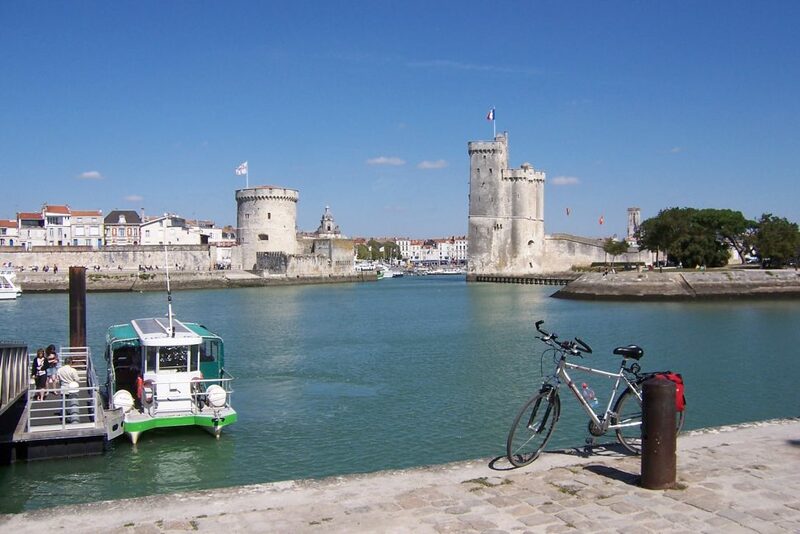 Arrival in La Rochelle. Your accommodation is a nice hotel in the heart of the town centre. Take your time to enjoy the city. 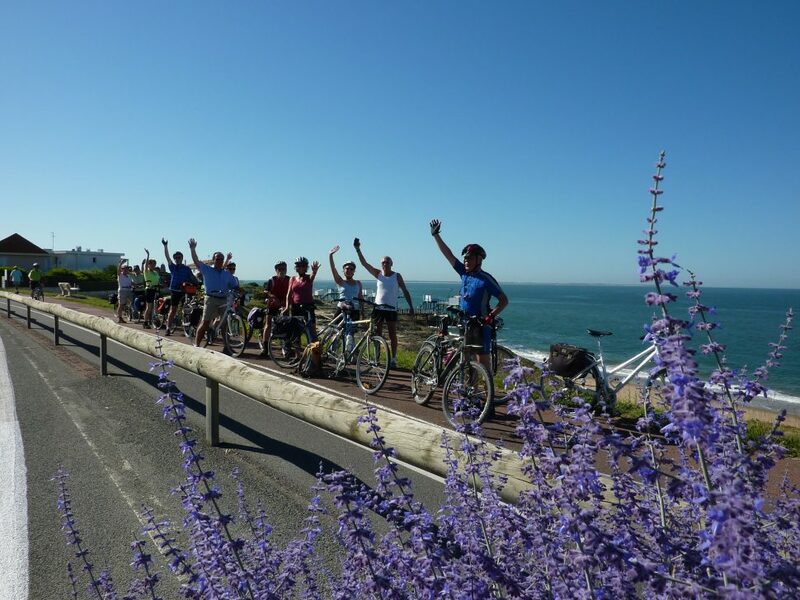 Begin the day by cycling across the impressive bridge of the Ile de Ré. 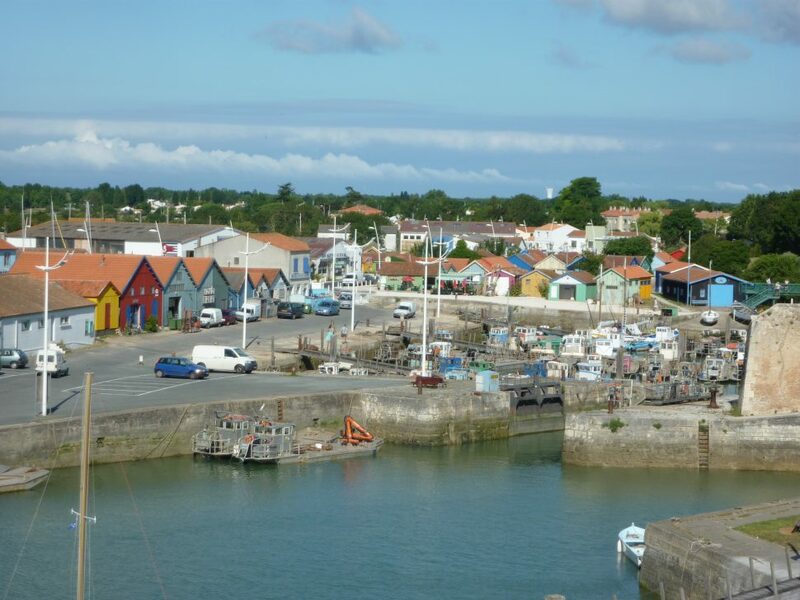 You continue through the lovely fisherman’s villages of Rivedoux and La Flotte with their colourful markets. You will the follow the cycle path to reach Saint Martin, with many opportunities to stop for a swim along the way. 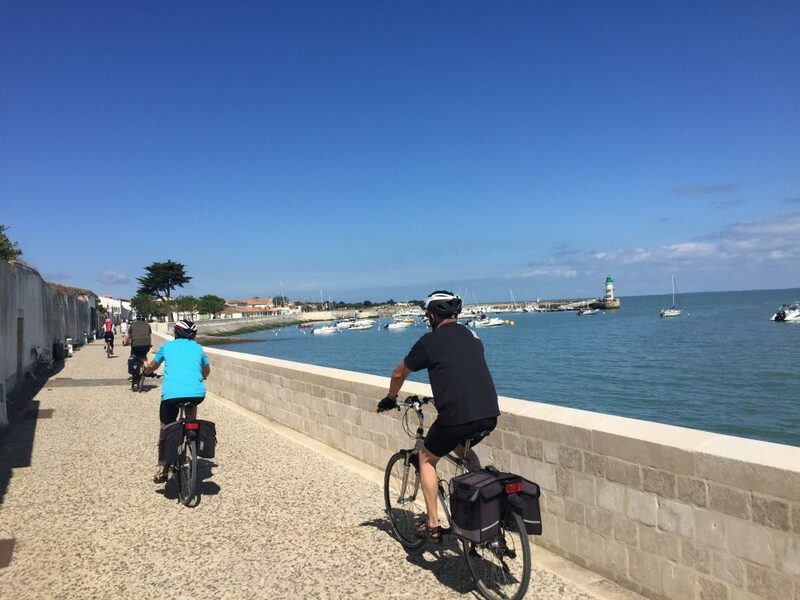 You leave La Rochelle towards the south on a pleasant cycling path along the coast. Enjoy the wonderful scenery of the Chatelaillon beach. After a walk in the charming town centre with its tiny streets, why not go for a swim or a lie on the beach. 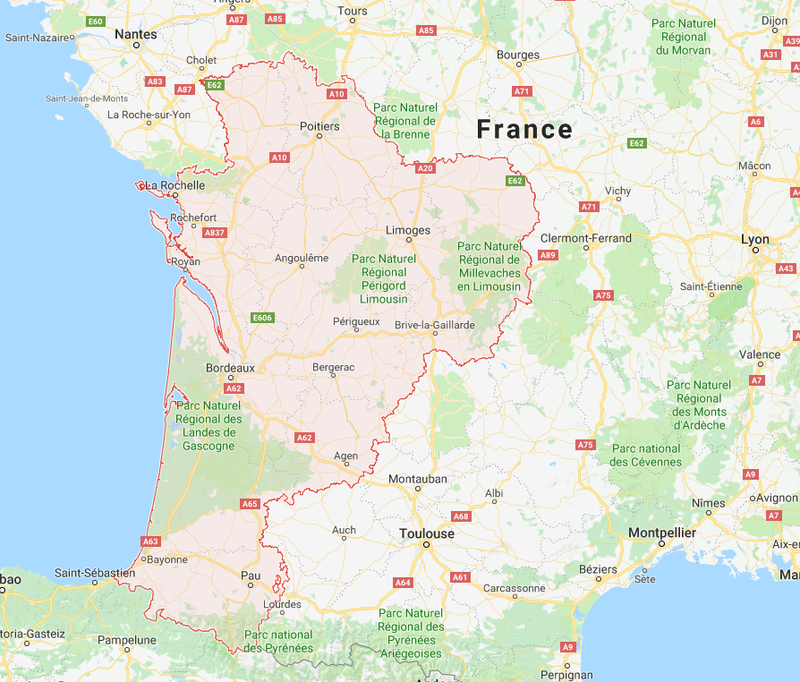 Back to La Rochelle by small country roads and via Châteaux of De Buzay. 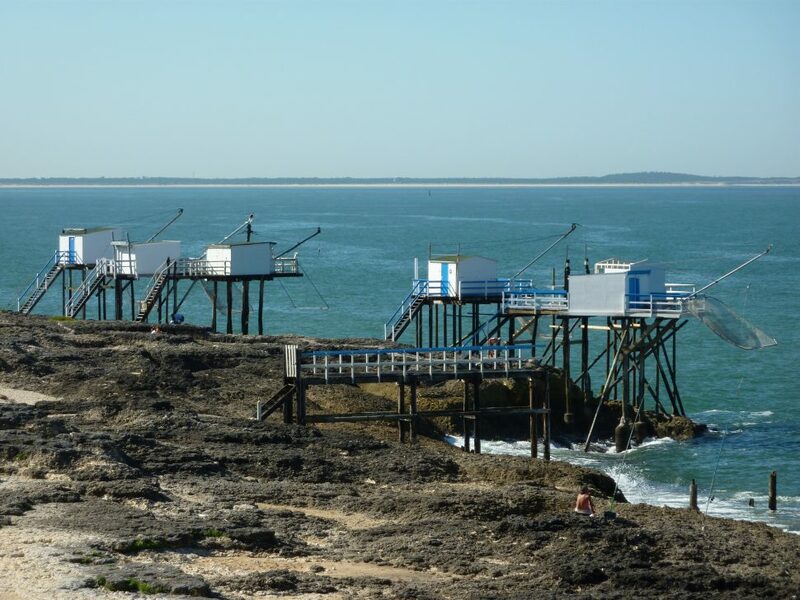 Situated North from La Rochelle, the Baie de l’Aiguillon is a graceful link between continent and ocean. Your itinerary, along the white coast is easy and beautiful. Baie de l’Aiguillon is famous for its mussel farms. You will have the opportunity to visit one of them: the interesting Maison de la Myticulture. It’s time to leave La Rochelle for another great town: Rochefort, where, in 1666, Louis XIV chose to establish a military dockyard. 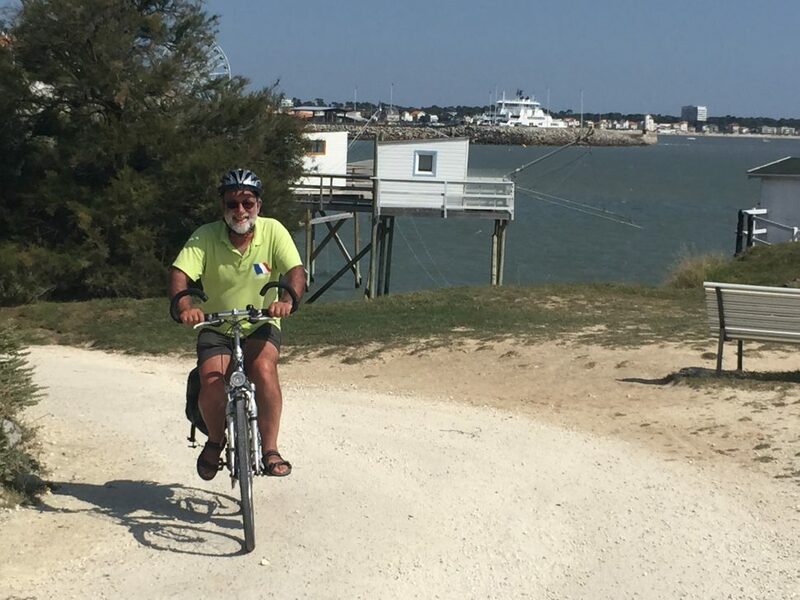 Today, you ride along the coast you will see former prison Fort Boyard, and the island Ile d’Oléron. 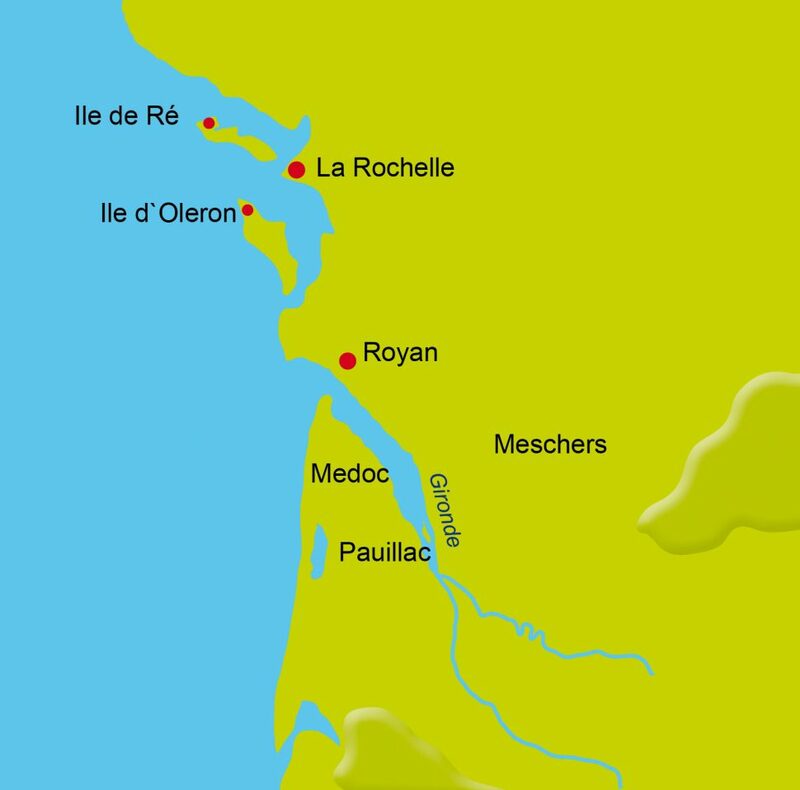 Marennes is one of the most famous Oyster farming centres in France, situated on a wide protected natural reserve. On your way, you can enjoy the birds that have adopted this part of the coast. This idyllic day ends in Marennes. 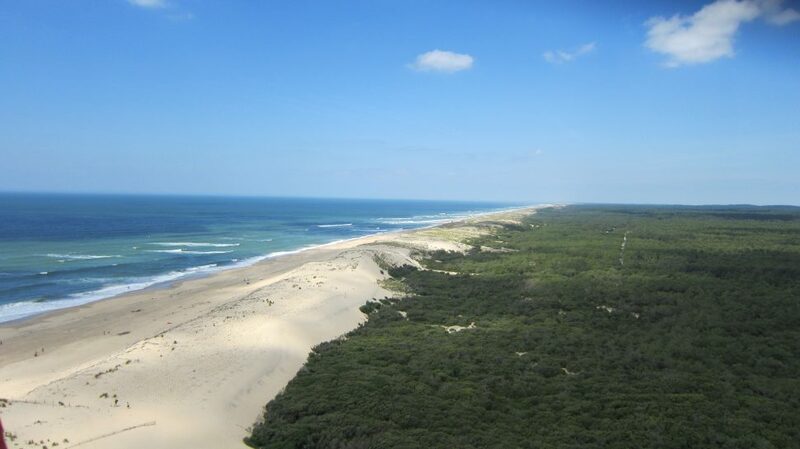 You will leave Marennes along a quiet cycle path, and will arrive in a pine forest overlooking the sea. Do not forget your swimsuit! 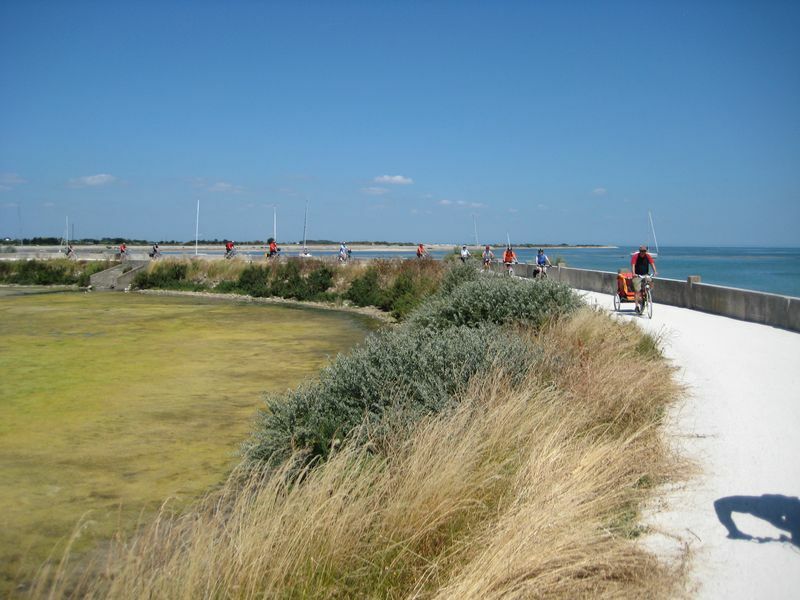 Your ride follows an enjoyable cycle path along the rocky coast to Royan. This final day will be punctuated by the varied and colourful landscapes. Back to La Rochelle after Breakfast.